Anthropogenic climate change is largely driven by the burning of fossil fuels which increase the concentration of greenhouse gases in the atmosphere. Petroleum burning cars are a significant source of GHG emissions in the capital region. Propel Fuels was founded in 2004 with a mission to connect consumers to low carbon fuels that outperform conventional petroleum. 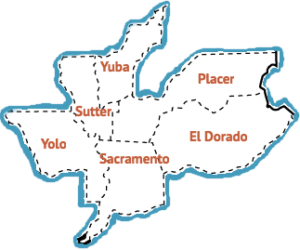 The company provides public access to Flex Fuel E85 and High Performance Renewable (HPR) diesel across California. Flex Fuel E85 is a high-octane, ethanol-based fuel compatible with Flex Fuel vehicles. 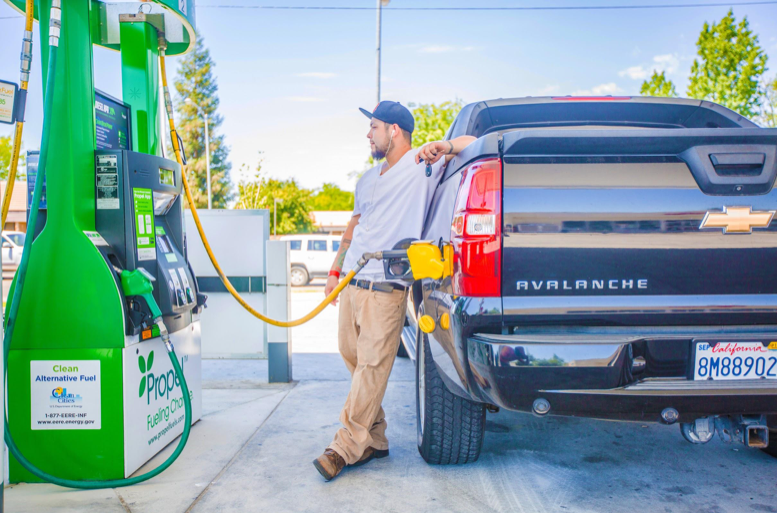 Flex Fuel vehicles represent approximately 1 million vehicles in California and can run E85 interchangeably with gasoline. Diesel HPR is a high-cetane, low-emissions fuel manufactured from biomass sources and meets the ASTM D975 diesel specification for use in all diesel engines. Due to this, every time a customer fills with Propel, emissions are lowered, air quality is improved, and the dependence on imported oil is reduced. Propel’s CleanDrive program provides incentive by allowing Propel Fuels customers to track their impact as low carbon customers. CleanDrive enables Propel customers to see their positive impact in real time. 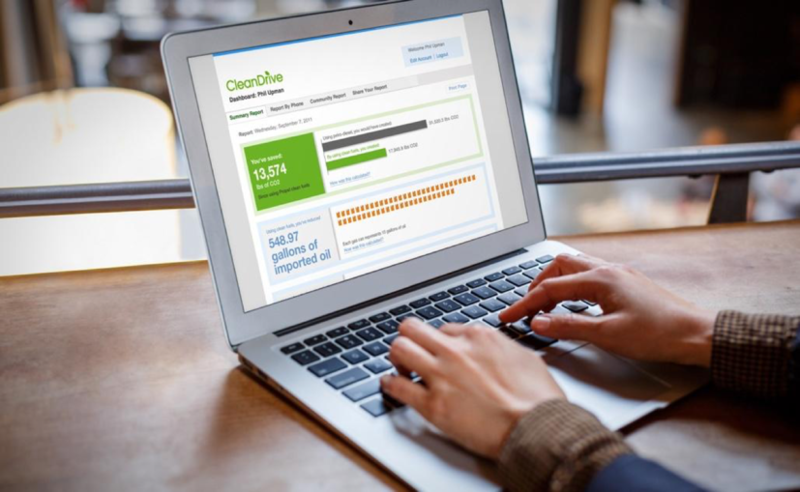 CleanDrive members have access to free, online reports showing the benefits of their clean fuel choice. Every tank of low carbon fuel is progress towards healthier neighborhoods, and with Propel’s CleanDrive program, customers can track and share their clean fuel impact with their community. CleanDrive’s ability to track customer impact and provide emission reporting has garnered a loyal following of Propel customers. Here’s how it works. Step 1: Sign Up: Create an account and register your phone number. Your 10-digit phone number serves as your account ID. Step 2: Fill up: Enter your phone number at participating Propel pumps before you fill up. Step 3: Track & share: See your progress online and share with friends. Choosing low carbon fuels results in improved air quality and supports the state’s goal of reducing emissions. While consumers appreciate these benefits, it is inherently difficult for an individual to measure their impact of using cleaner fuels. CleanDrive solves this problem by giving consumers the opportunity to see the of their choice at the pump. Members also become eligible for prize drawings every time a fuel tank fill is tracked through their CleanDrive account. The program’s underlying goal is to engage customers in their use of low carbon fuels, and its subsequent impact, incentivizing the continued use of Propel’s fuels and increased awareness and education across customers’ own networks. In the 10 years since it launched, CleanDrive has grown to well over 10,000 users across California. Market surveys have demonstrated Propel customers are extremely loyal to low carbon fuels, and CleanDrive has played an instrumental role in this commitment. Propel customers find value in the ability to track their personal positive impact as committed users of low carbon fuels and as part of a broader community. In the future, Propel Fuels would like to further incentivize and reward CleanDrive members for their use of low carbon fuels through partnerships with other leading brands and services Propel’s customers use every day.